FIRSTLY AN EXCERPT FROM MY COPYRIGHT STATEMENT: For the complete details of my Copyright Statement please click here. In accordance with my Copyright Statement all images on this Website are for sale, unless noted otherwise. Please advise your requirements and I will quote competitive rates per image, or as a bulk order, as applicable. FREEBIES: From time to time I will be loading selected images here linked to the original image in its native high resolution. Simply click the thumbnail of choice below and copy the original 'full size' image as desired, hit the Internet Software 'back button' to return to the website. 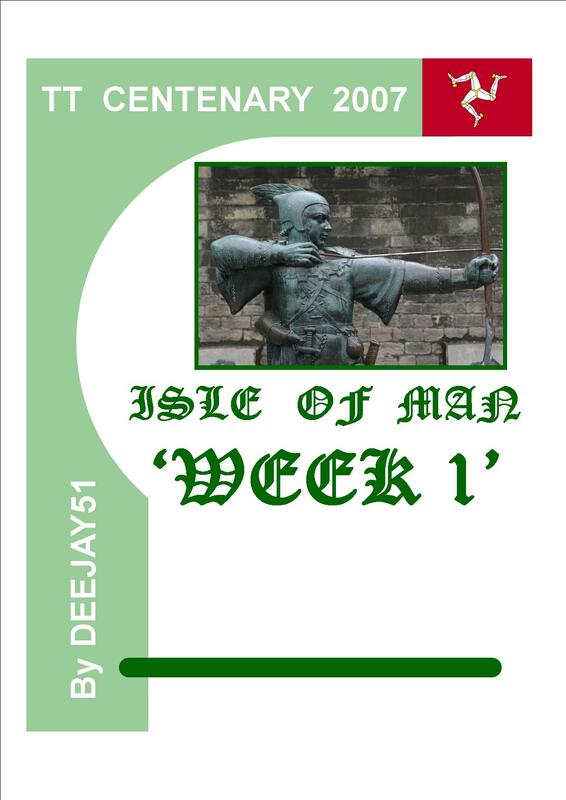 TT2007, ISLE OF MAN: The following 'weekly reports' are my recollections of my 'IOM 2007 TT' experiences, including my travels to and from the British Isles over approximately a four week period. 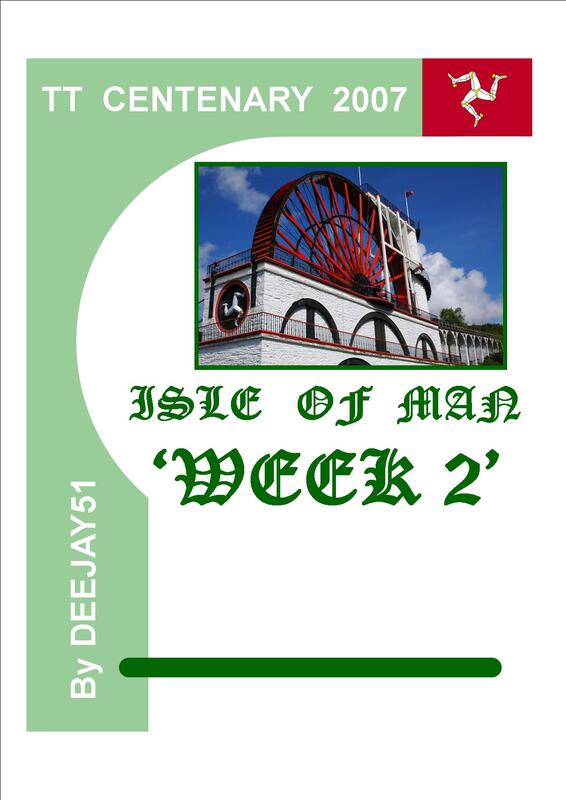 I am very proud of the fact that the 'fully bound version' was accepted by the Isle of Man Museum in 2007 and is now permanently in their archives! 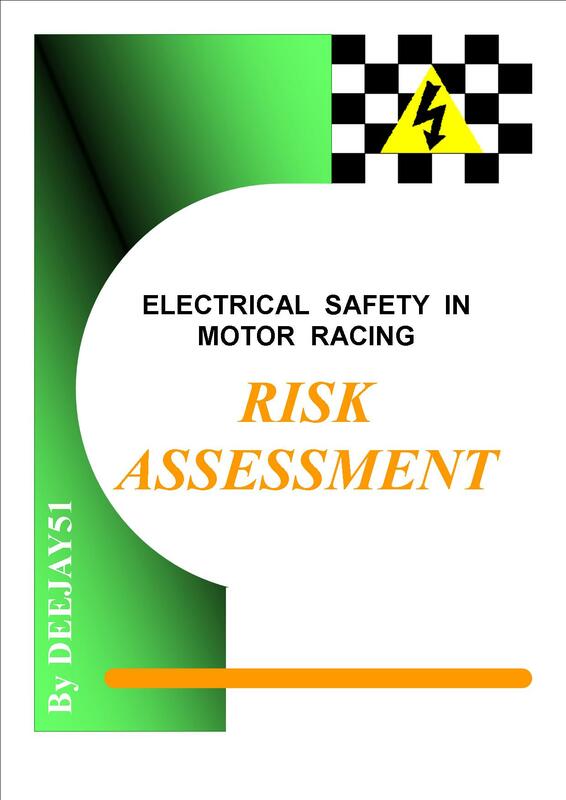 Please just click the selected image and the respective PDF file will load, hit the Internet Software 'back button' to return to the website. 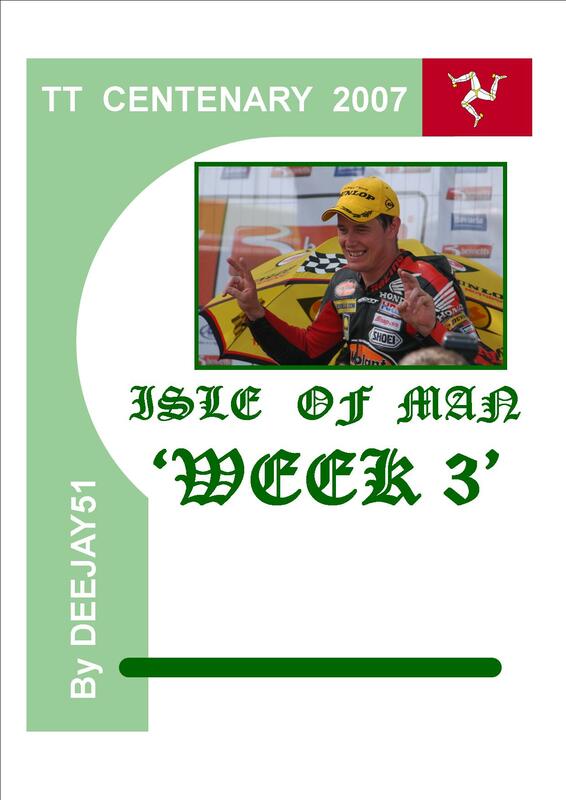 TT2008: ISLE OF MAN: The following 'weekly reports' are my recollections of my 'IOM 2008 TT' experiences, including my travels to and from the British Isles over approximately a three week period. ELECTRICAL SAFETY IN MOTOR RACING: The following 'Electrical Safety in Motor Racing' postings are my personal opinions, initially developed with regard to the 2009 TTXGP at the Isle of Man, in support of my personal opinions I highlight references to published Standards, Hybrid Vehicle Safety Procedures and Formula 1/KERS issues. 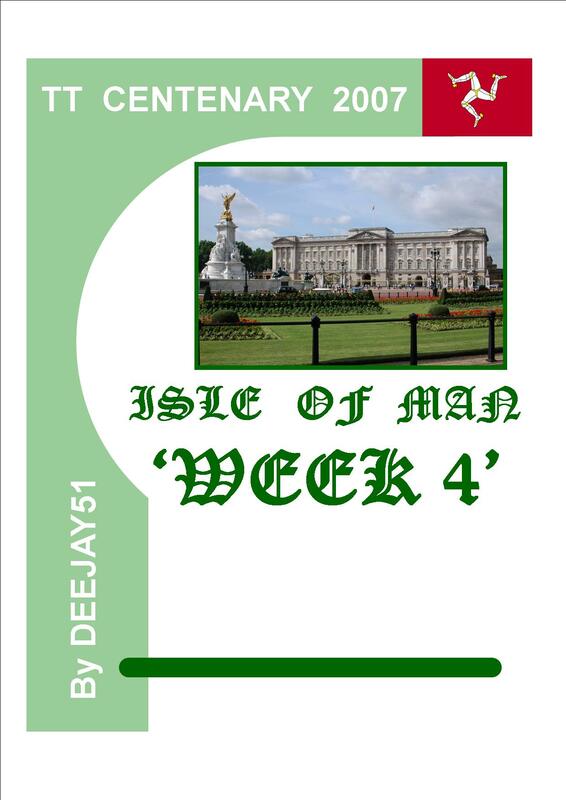 Please just click the selected image and the respective PDF file will load, please select your Internet Software 'back button' to return to the website.